In fall of 2008, I set out on a journey to sample all of Japan's wonderful Ekiben. Well, "all" might be impossible, so I hoped to sample "some" of Japan's ekiben. 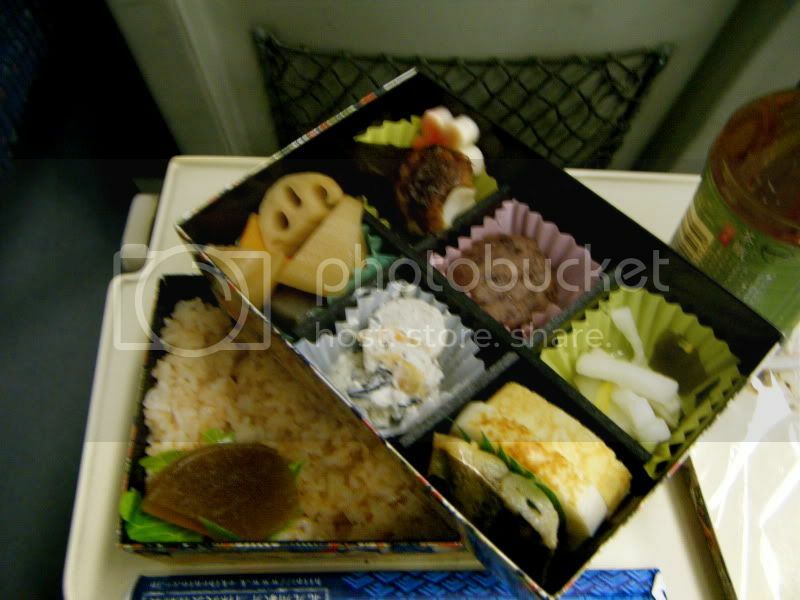 Ekiben are basically bento boxes from train stations. "Eki" means station, and "ben" is short for "bento." Every major station in every major city has its own special ekiben. 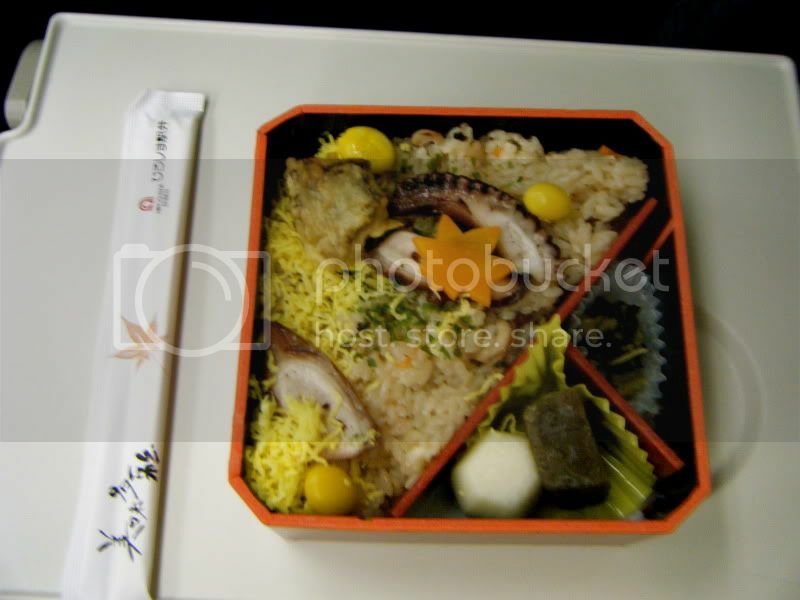 Of course, while my decision to travel Japan was well-planned, my decision to sample every bento was not. Thus, with little research, I arrived at the train station, ill-prepared and indecisive. Now, this is coming from someone who loves Japanese food, natto and all. 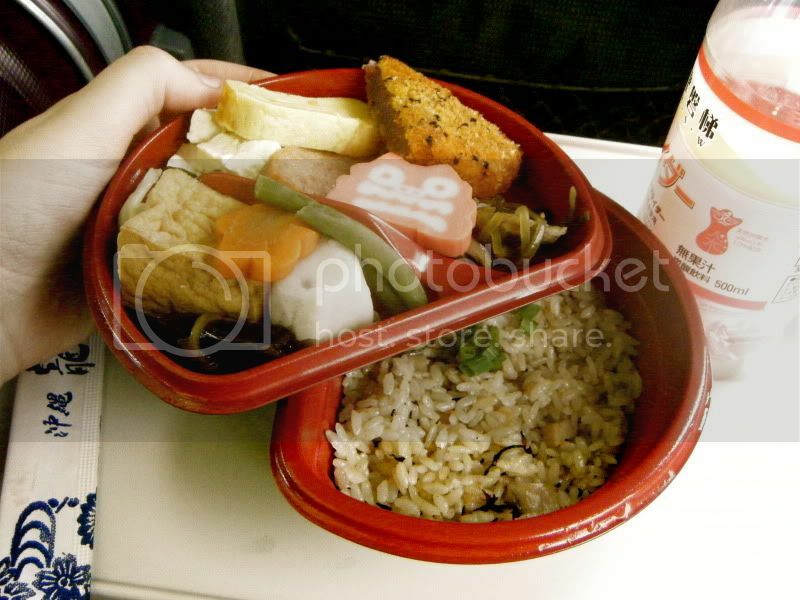 I am no fussy eater, but some of the stuff in bentos was bland or just plain nasty. And to top it off, they were expensive. I was hoping to pay around 1,000 yen (about $10 USD back then - god I miss those days) but all the benots I found were more like 2,000-3,000 yen. 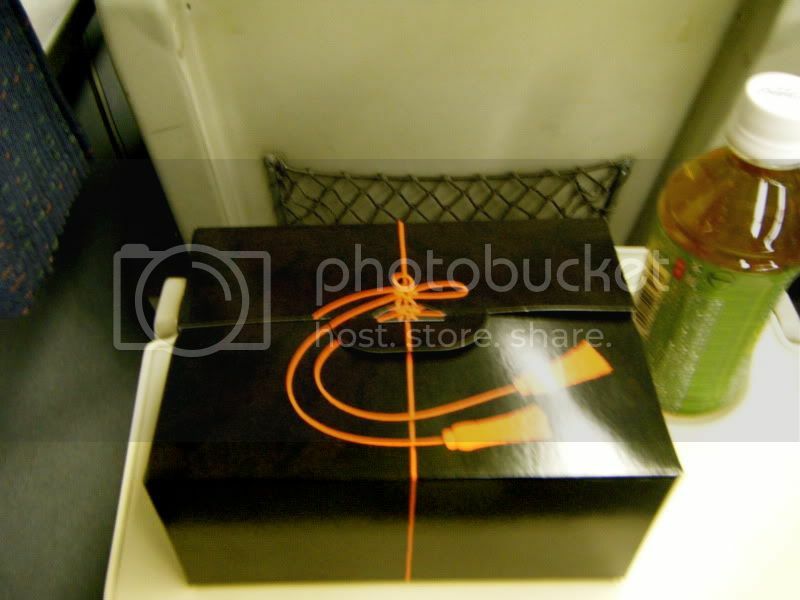 At least the cool part was that they often came in elaborate packages, and were stacked into cute compartments. 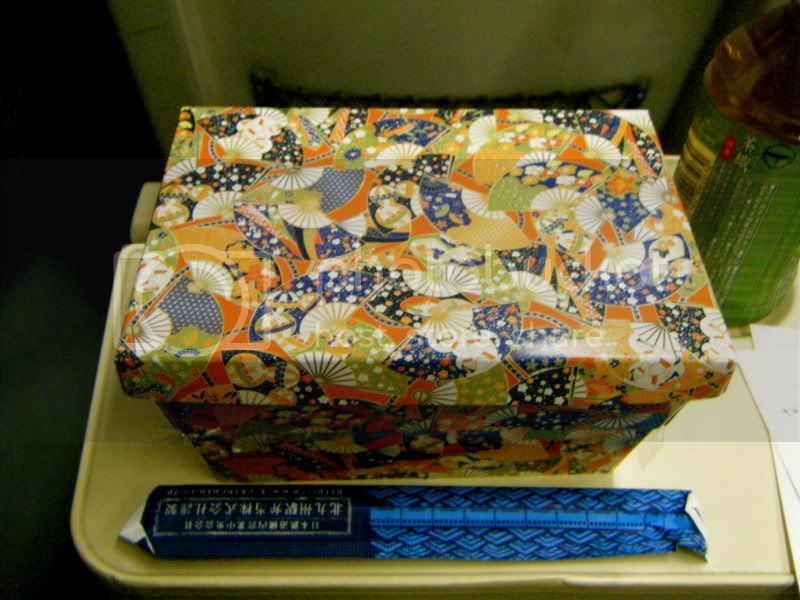 This next bento is from Fukuoka. The rice has Mentaiko, which is the specialty of Fukuoka. Again, it came in a very elaborate package. 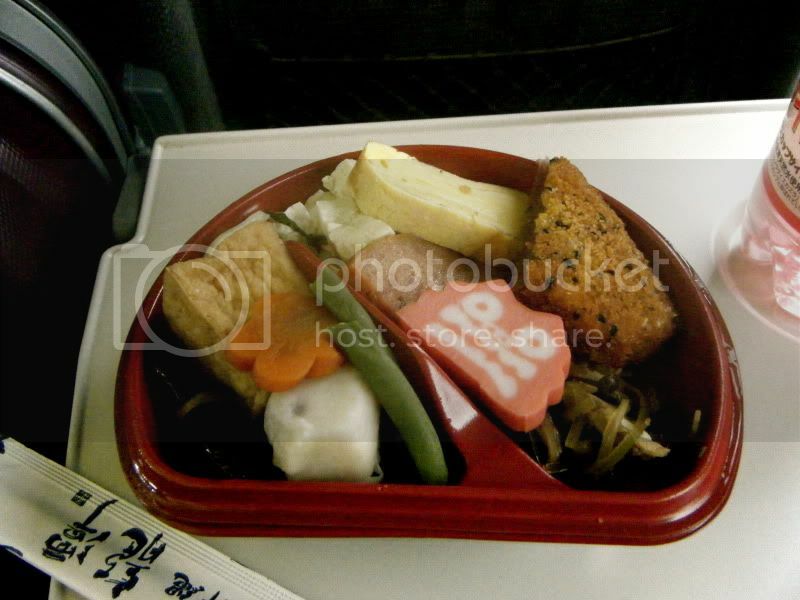 This last bento is from Hiroshima. This was around the time when I began to tire of bentos. Looking back on it, I should have researched the specialty of each city, so I knew what to look for. I also should have been mentally prepared to spend three times as much as I planned to. 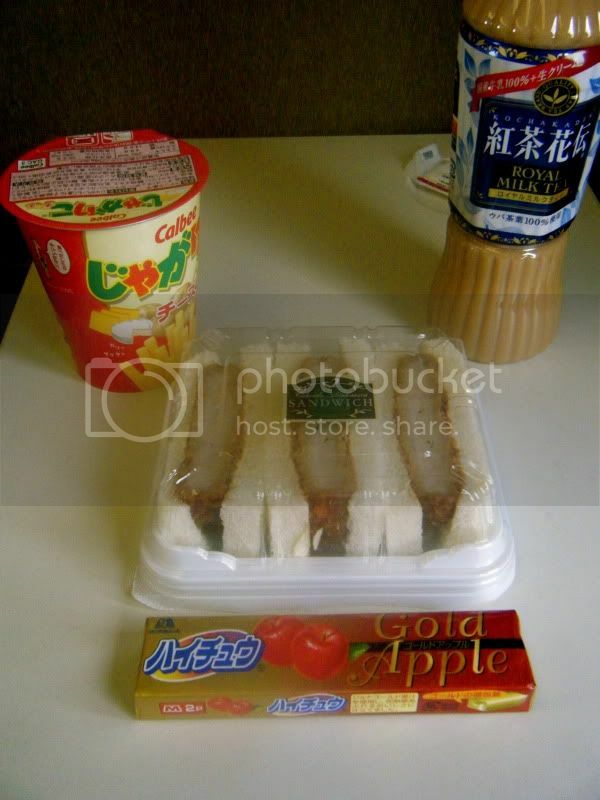 Buying cheap bentos was not the way to experience Japan. 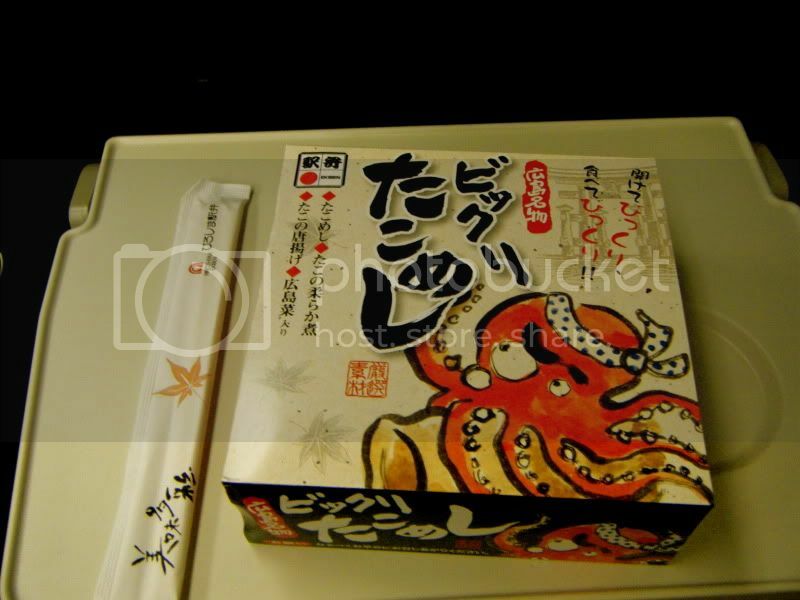 Too bad this awesome ekiben website was not around back then. Halfway through my trip I gave up on ekiben, and settled instead for some good eats from the convenience store. I immediately fell in love with convenience store crust-less sandwiches. Below is a Katsu sandwich from Osaka. I paired it with some chips and milk tea. 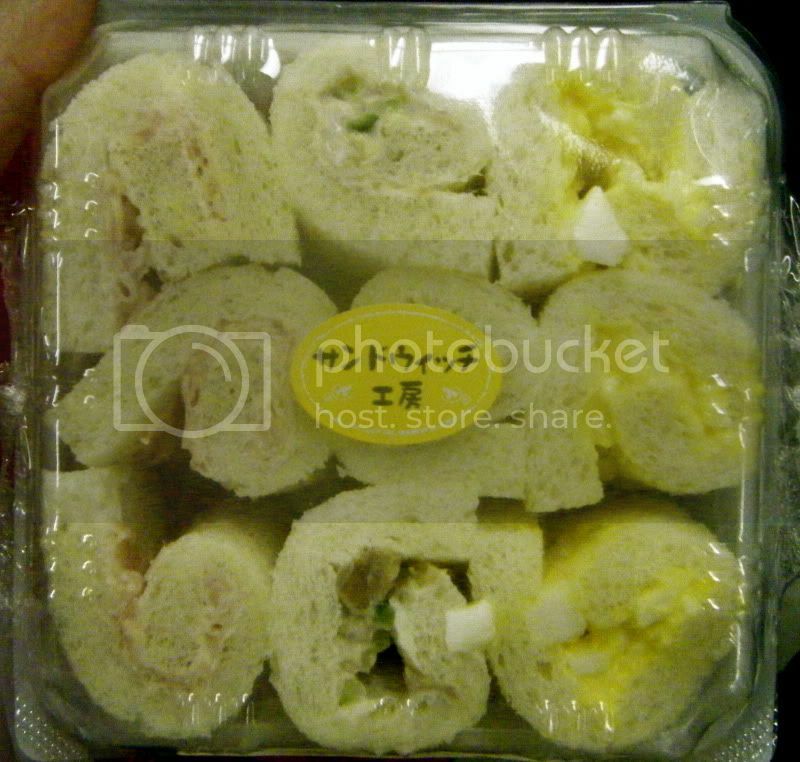 Also in Osaka were my favorite sandwich rolls. They are mostly egg, tune, and vegetables. These were the cutest sandwiches I found on the whole trip.